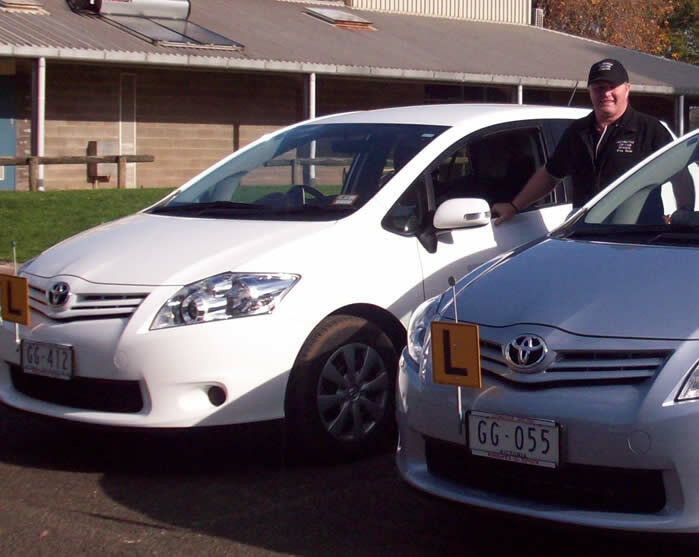 Leongatha Driving School is run by instructor Greg Goss, servicing Leongatha and the surrounding districts. Lessons are usually conducted within the Leongatha Township, but may be organised for other locations at an additional charge. Greg holds a Certificate IV in Transport and Logistics (Road Transport – Driving Instructor) and is a member of the Australian Driver Trainers Association (Vic.) Inc. He has passed a health check and a Police Record check and been accredited with Driving Instruction Authority. The school currently utilises two "Dual Control" Toyota Corollas - a manual and an automatic - and offers lessons to all levels of driving skill from outright beginner to ready for P's. The school can also provide a skills assessment for older drivers who are hoping to renew their licences. You can make an appointment with Greg by phone or email using the details below.